Our quick fit easy frame system is the perfect solution to save time on site. we offer a choice of designs and a selection of attractive color’s to choose from. 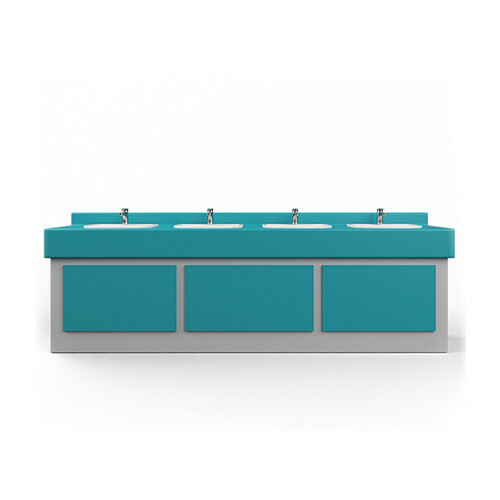 We offer 2 types of worktops, post form worktops which are manufactured from high pressure laminate, with integrated up stands and down stands, as optional. 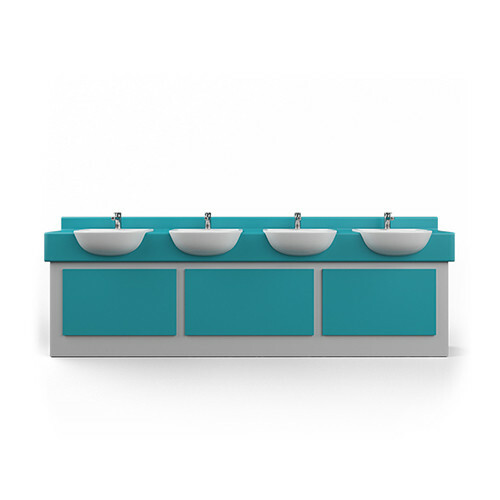 CGL vanity tops which are totally water resistant and very hard wearing.All vanity units come with matching base frame with clip off access panels to maintain services below. Our worktops designs are manufactured to either accept semi recessed or fully recess inset basins. 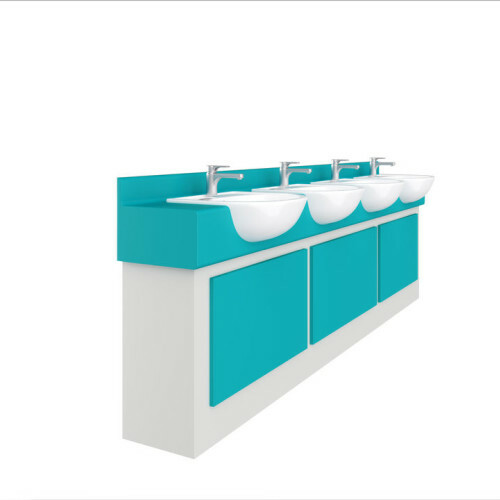 Our vanity units are suitable for office washrooms, school washrooms, day time nursery’s & hospitals offices and in the leisure industry. 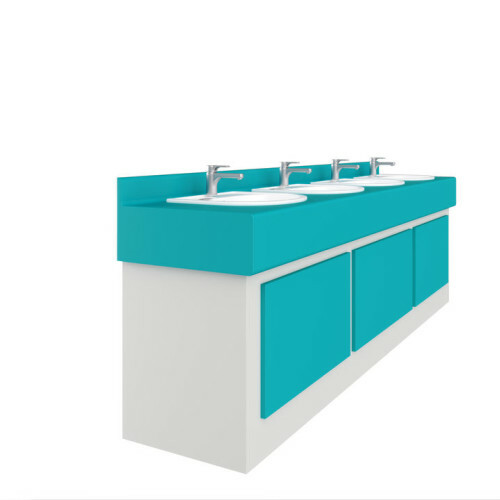 We can manufacture & supply vanity units to suite your own requirements for fully recess 600mm deep and semi recess 400mm deep.